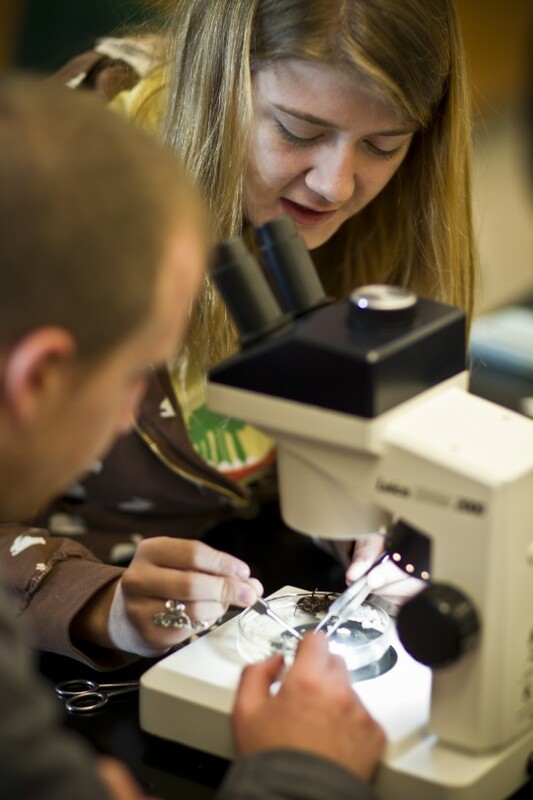 Ohio Wesleyan is one of a few small colleges with two closely integrated life science departments: Botany & Microbiology and Zoology. 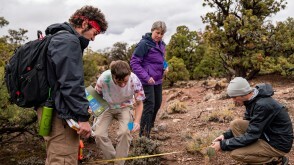 This structure allows our program to provide students with the personal attention of a small college - and a large array of specialty courses in sub-disciplines across the biological sciences. That combination is rare. 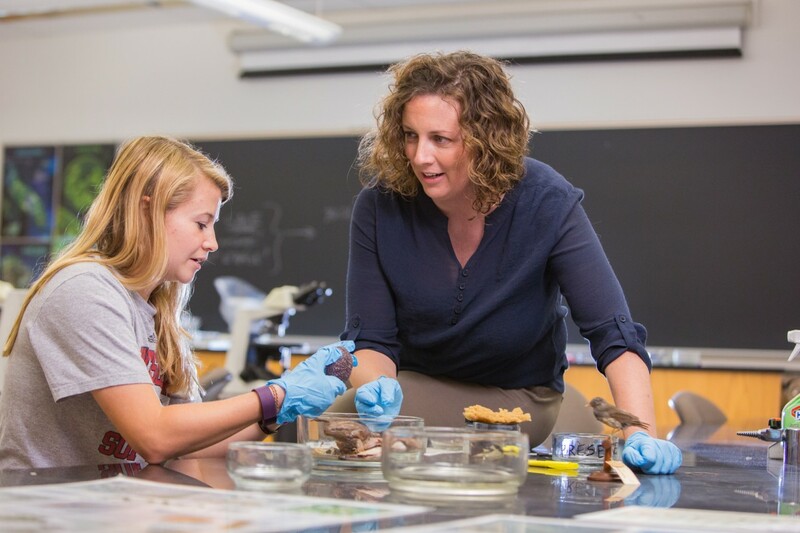 Ohio Wesleyan's zoology program gives you two major options, so you can create a program that fits your interests and career goals. The General Zoology major is designed for students who are interested in the study of human beings and other animals, but perhaps do not want to pursue a professional career in medicine or zoology. 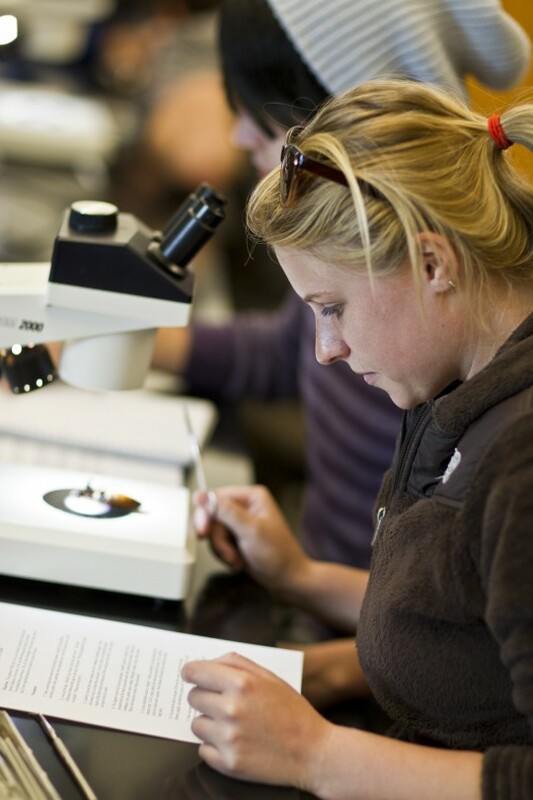 Often, general zoology majors choose to double major in another discipline, further expanding their career options. 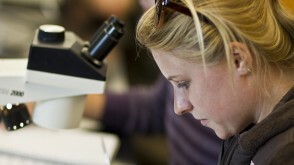 The Pre-Professional Zoology major is more suited for those preparing for medical school or graduate study in zoology. 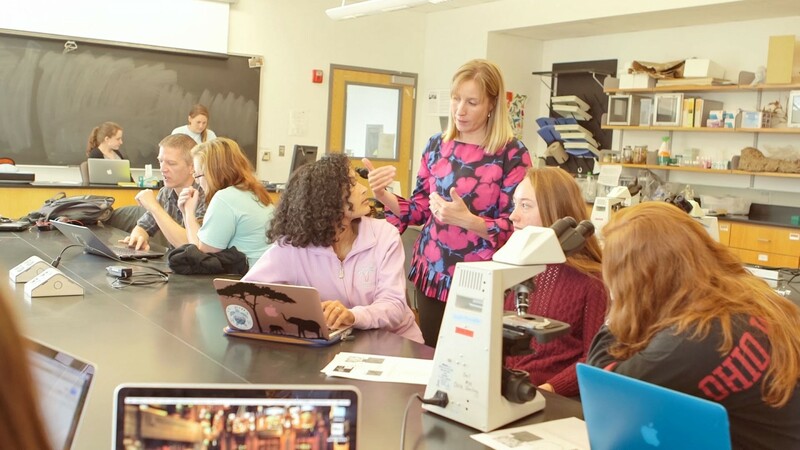 Completing this major will satisfy the minimum entrance requirements of almost all graduate programs in biology or zoology as well as meeting most of the prerequisites for medical, dental, and veterinary medicine schools. 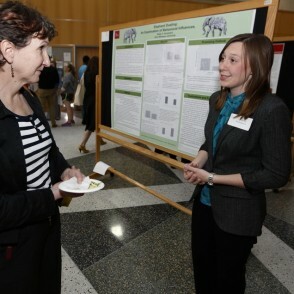 Undergraduate research is a core part of The OWU Connection, and zoology students participate in independent projects, internships, and research with OWU professors and at other universities, research centers. and zoos. 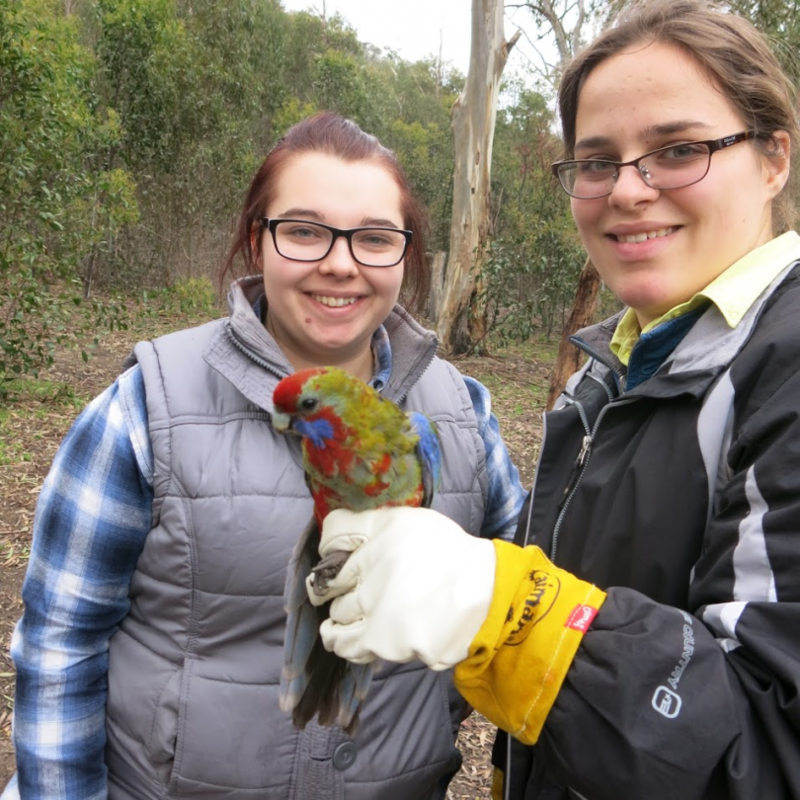 Larynn Cutshaw ’17 and Nadya Sotnychuk ’17 investigated whether bird-trapping methods influenced the amount of feather-degrading bacteria present in the plumage of Eastern Yellow Robins, an Australian bird. 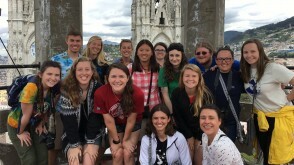 Their faculty mentor was Laura Tuhela-Reuning. Aaina Gupta '18 and Paige Haenig '18 studied a rare genus of fish that gives birth to live young. 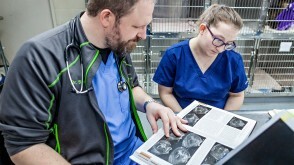 Overseen by Professor Tami Panhuis, Aaina's and Paige's research developed a better understanding of the relationship between placental function and structure. 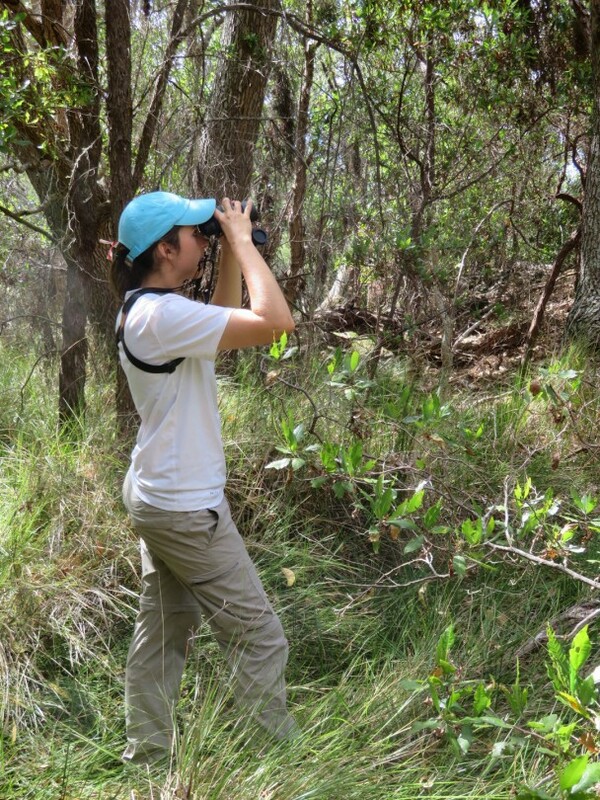 Madeleine Sorrick '19 worked with Professor Dustin Reichard to study the aggressive behaviors that Carolina and House wrens exhibit when they feel threatened. Although the two species are closely related, the House wren responded to threatening stimuli with significantly more aggression than the Carolina wren. Serena George ’18 observed the mating behavior of fish. 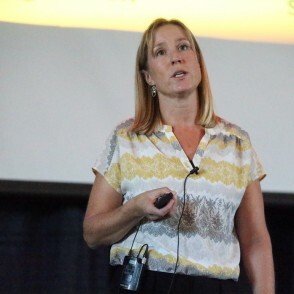 With the help of Professor Shala Hankison and advanced computer software, Serena looked for correlations between the frequency of certain male behaviors and the representation of offspring sires. This informs understanding of population divergence and speciation. Invasive species provide unique opportunities to study how long it takes species to adapt. 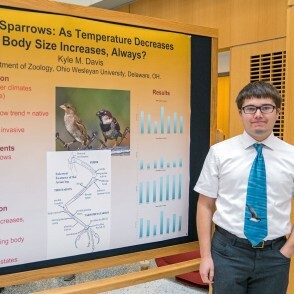 Kyle Davis '19 studied the change in size of the House sparrow, which was introduced to North America only 400 years ago. 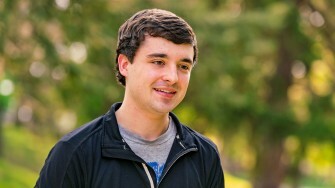 He worked with Professor Dustin Reichard. 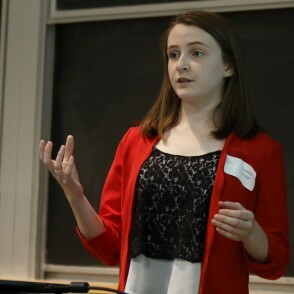 Madeline Bonfield '18 studied the genetics of food allergy - specifically, EoE, a disease characterized by inflammation of the esophagus in response to food triggers. 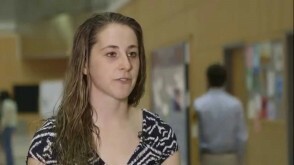 Madeline was mentored by Professor Leah Kottyan of Cincinnati Children's Hospital. 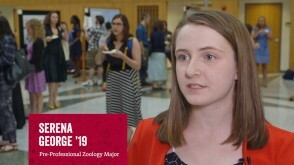 During an internship at Chicago's Field Museum of Natural History, Francesca Socki '18 studied how the soldier head shape of turtle ants has evolved. 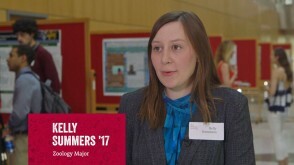 Using several different computer programs and advanced technology at the University of Chicago, Francesca helped create 3D models of the heads to quantify the differences of the specimens being compared. 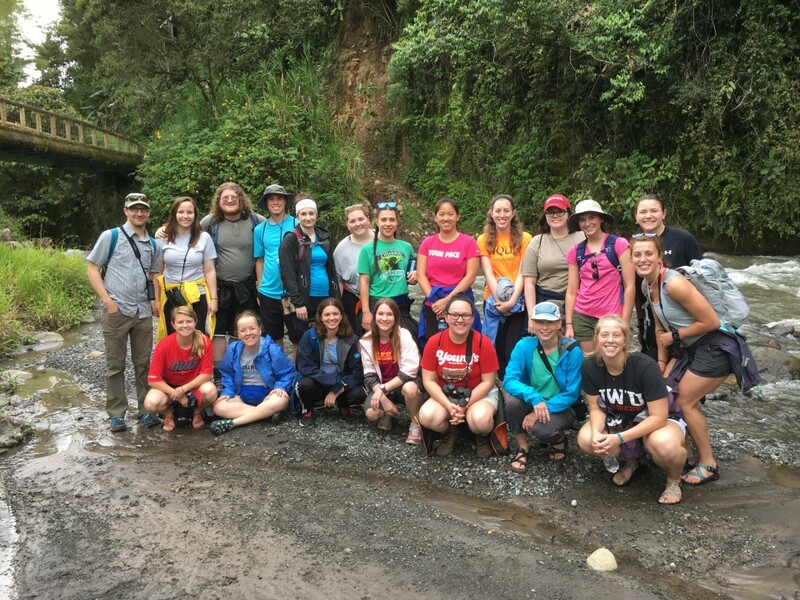 Recent Travel-Learning Courses have taken zoology students to Brazil, Costa Rica, East Africa, the Galapagos Islands and Ecuador, and North Carolina. 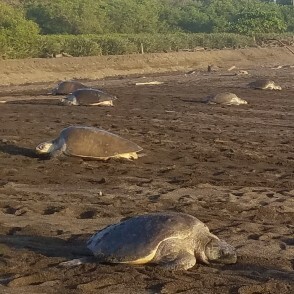 For two weeks in 2017, an Island Biology class traveled to Ecuador and the Galápagos Islands with Zoology faculty Tami Panhuis and Scott Kelly to walk in the footsteps of Charles Darwin. 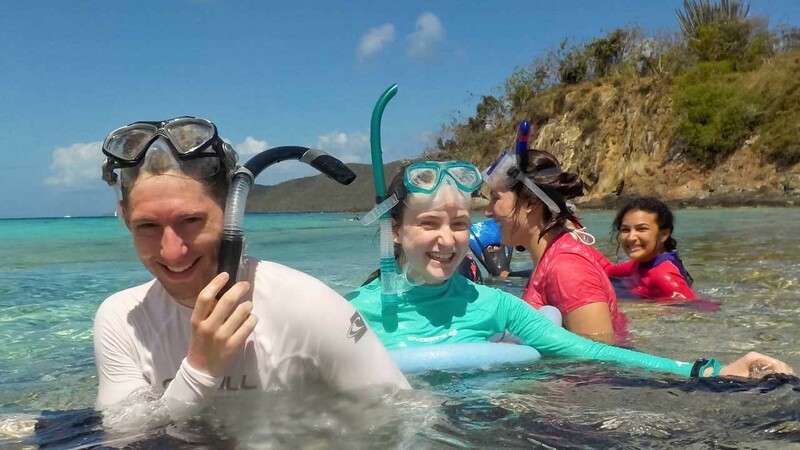 In 2017, Zoology Professor Amy Downing and Mathematics Professor Craig Jackson taught a class on marine biology and mathematical modeling, and led the class in field work in the U.S. Virgin Islands. 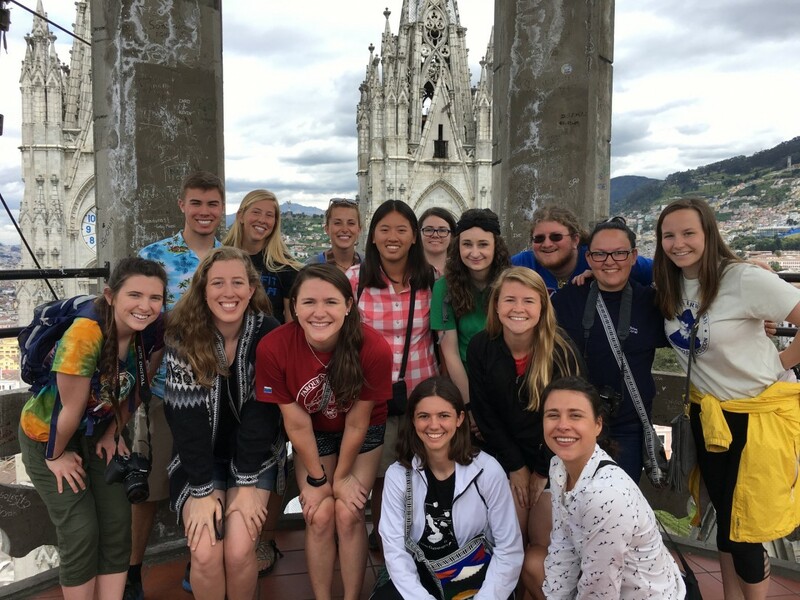 Build your experience and connections to the professional world with internships at the Columbus Zoo, wildlife centers around the world, universities, museums, and other organizations. 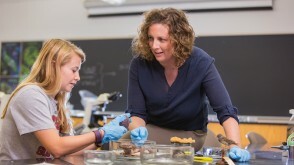 OWU zoology faculty use their connections in the field to help many students secure valuable internships. 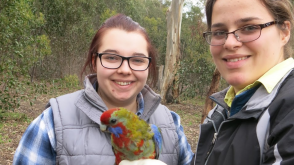 Zoology students also have received University-funded Theory-to-Practice Grants for research projects from Bolivia to Japan to Vietnam. With a Theory-to-Practice Grant, Izzy Sommerdorf '18 volunteered at the Wildlife Friends Rescue Center in Thailand for six weeks to expand her understanding of mammal conservation. 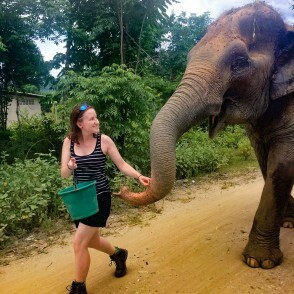 During an internship with the Columbus Zoo, Kelly Summers ’17 observed four Asian Elephants and measured the frequency of their dust bathing to enhance our understanding of captive animal behaviors and the influence of environmental factors on dust bathing. 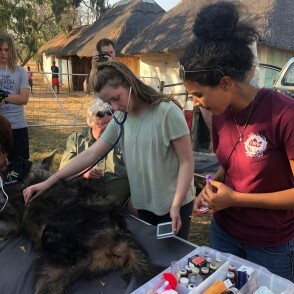 Serena George ’19, left, and Abbi Turner ’20 the summer of 2018 volunteering at the Chipangali Wildlife Orphanage in Zimbabwe, where they participated in wildlife rehabilitation, conducted human-carnivore research, and helped with conservation education programs. 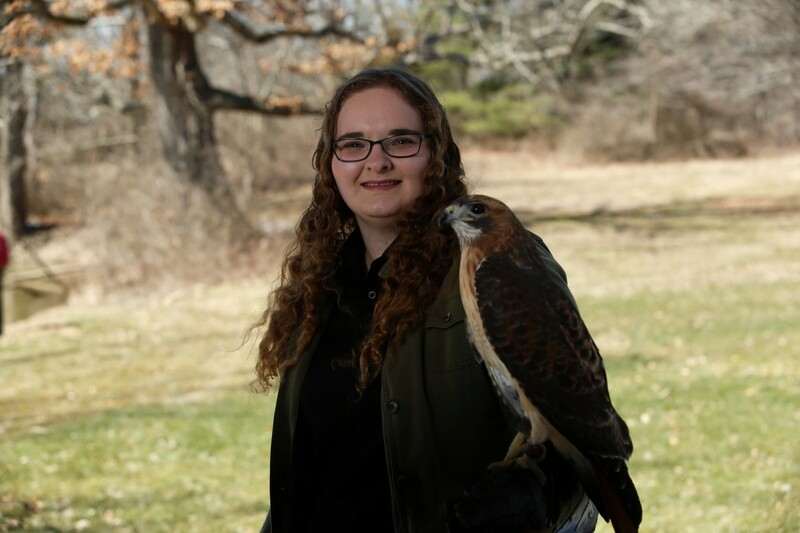 Karis Lowrie '18 had internships at the Columbus Zoo and Ohio Wildlife Center, where she worked in animal rehabilitation. She was later hired at the Wildlife Center. 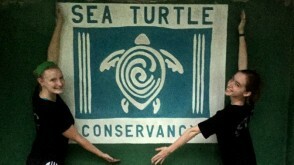 Ryan Bishop '17 used Theory-to-Practice Grant to travel to Costa Rica to support sea turtle conservation efforts. 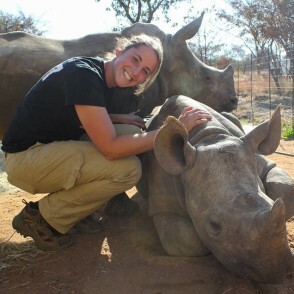 Shannon Schlater '17 volunteered at The Rhino Orphanage in South Africa, helping raise 11 calves with the hopes of releasing them back into the wild. OWU’s Brant Museum is an often-overlooked gem on campus. 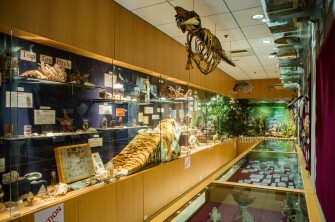 Located on the atrium level of the Schimmel/Conrades Science Center, it houses teaching collections of mammals, birds and their eggs and nests, insects, mollusks, and corals, with smaller collections of other phyla. 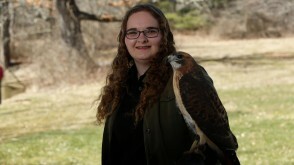 The collection includes more than 400 mounted birds, including a golden eagle. Researchers from across the country come to check our egg and specimen collections. 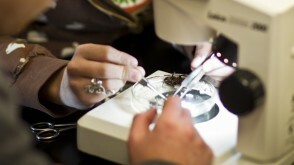 However, the collections are used primarily for classroom and laboratory teaching. 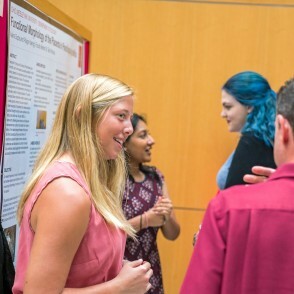 The OWU Women in Science (WinS) organization is a collection of students who share a passion for mathematics and the natural and social sciences. 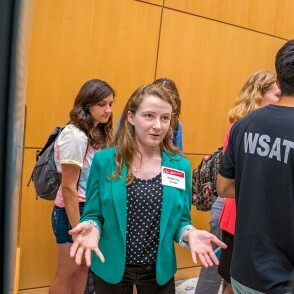 WinS strives to cultivate a love of science and research and provide information about research opportunities, graduate school positions, and summer jobs and internships. 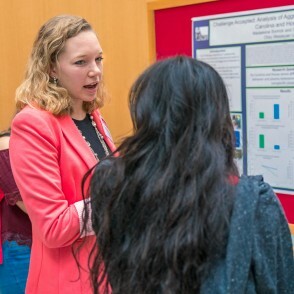 WinS promotes discussion of issues facing women in science, brings guest lecturers to campus, arranges field trips, and participates in community service. The Pre-Health Club helps students understand and overcome the challenges of entering medical school to make the preparation more manageable. They also help educate the public about illnesses, preventative measure to take to remain healthy, and how to perform self-exams. Pet Pals, a club for all animal lovers, organizes activities on campus and in the community to raise awareness about animal welfare. Pet Pals works closely with the Humane Society of Delaware County to host socialization and adoption events. They also volunteer at animal shelters and take trips to the Columbus Zoo. 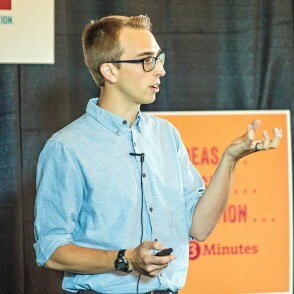 After graduating, Eric was accepted at the Ohio University Heritage College of Osteopathic Medicine. 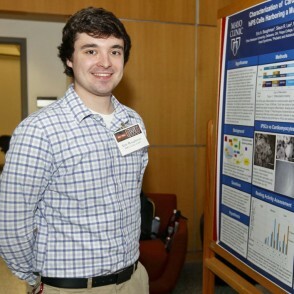 At OWU, he used a Theory-to-Practice Grant to fund an internship at the Mayo Clinic, where he was part of a research lab studying congenital heart diseases using stem cells. He also gained clinical experience by shadowing a pediatric cardiologist. 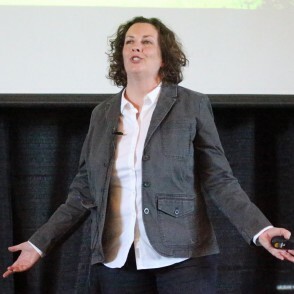 At OWU, Kristen Lear ’11 used a Theory-to-Practice grant to study bats in Texas, helping her net a Fulbright Scholarship to do research in Australia. 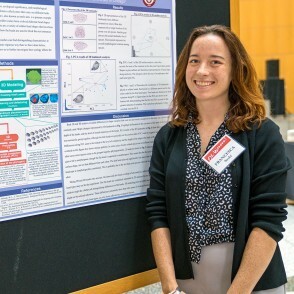 She later received a prestigious National Science Foundation Fellowship and is in the Ph.D. program at the University of Georgia. 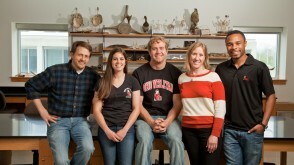 In the past few years, OWU Biological Sciences graduates have won three Fulbright Scholarships, four NSF Graduate Research Fellowships, two Goldwater Scholarships, and the NCAA’s highest scholastic honor, the Walter Byers Award, given to only one male and one female scholar-athlete in the United States each year. 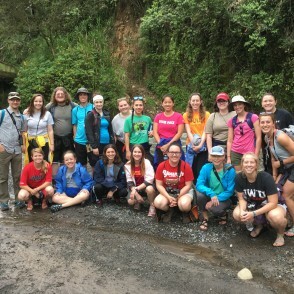 OWU's 2017 class of zoology majors secured immediate jobs at Mount Carmel Health, Brukner Nature Center, and Kanyana Wildlife Rehabilitation Centre in Western Australia - and grad school placements at Ohio University Heritage College of Osteopathic Medicine, Ohio State University College of Pharmacy, University of Cincinnati College of Pharmacy, and Michigan State University School of Veterinary Medicine. Nancy McToldridge '75 is one of many OWU graduates working in zoos and animal conservation across the country. She is director of the Santa Barbara Zoo in California. 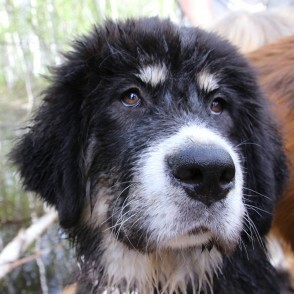 "Our mission of saving wild animals in wild places is my personal passion," she says. Stacy Venzel ’10 combined her Zoology major with her minors in English and Environmental Studies to publish her first book: “Today’s Dinosaurs: A Complete Guide to Turtles, Terrapins, and Tortoises.” She lives and works as a writer in Seattle. Biology-mathematics class studies samples they collected during a trip to the U.S. Virgin Islands. 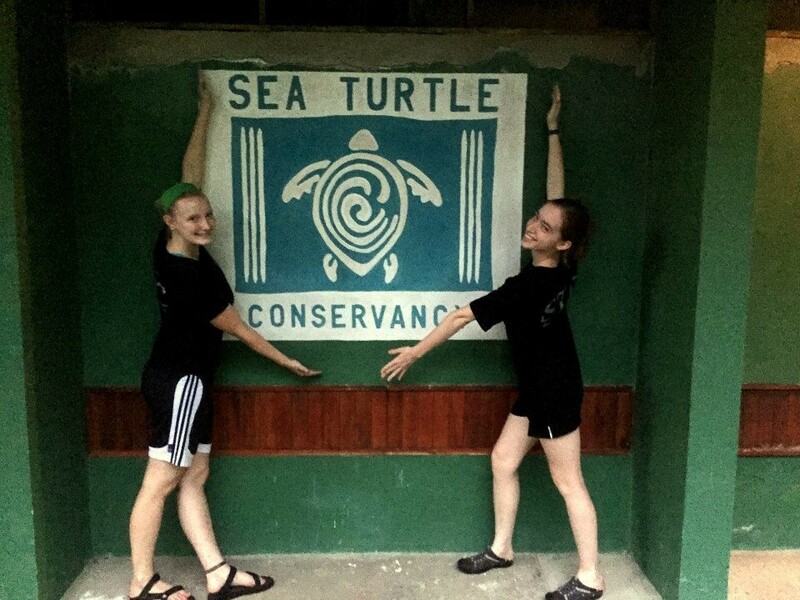 Lauren Kiebler '16 and Emily Webb '16 used a Theory-to-Practice Grant to volunteer at the Sea Turtle Conservancy in Costa Rica. 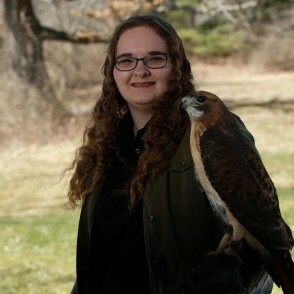 Karis Lowrie '18 with a red-tailed hawk named Naaka-Hay while interning at the Ohio Wildlife Center. Shannon Schlater '17 helped rhinoceros calves prepare for release into the wild. 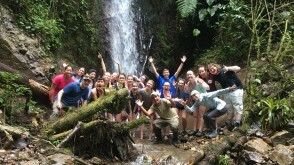 Island Biology Travel-Learning class in 2017. 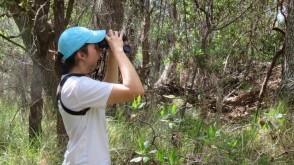 Kelly Summers '17 studied dusting behavior of elephants. Zoology major Madeline Miguel ’14 used a Theory-to-Practice grant to work with researchers at California State University focusing on Mediterranean House Geckos. 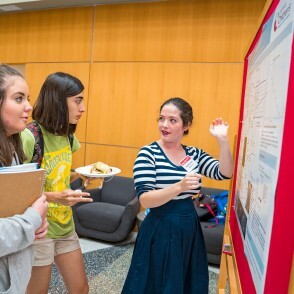 She also attended the Joint Herpetology and Ichthyology Meeting hosted by the Society of the Study of Amphibians and Reptiles. Collecting samples in the U.S. Virgin Islands. 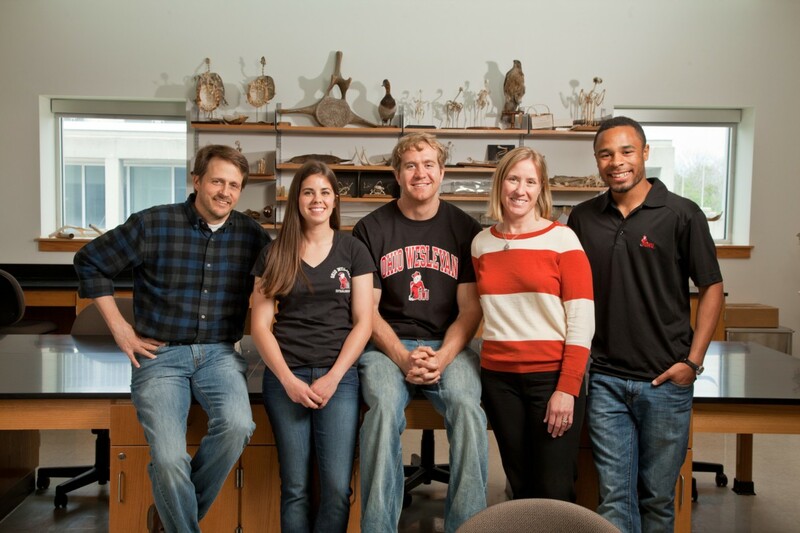 Student-faculty research team studying horseshoe crabs in the labs at OWU. 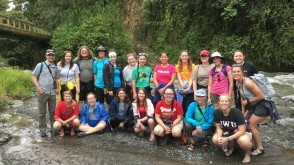 Island Biology class in Ecuador and the Galapagos. 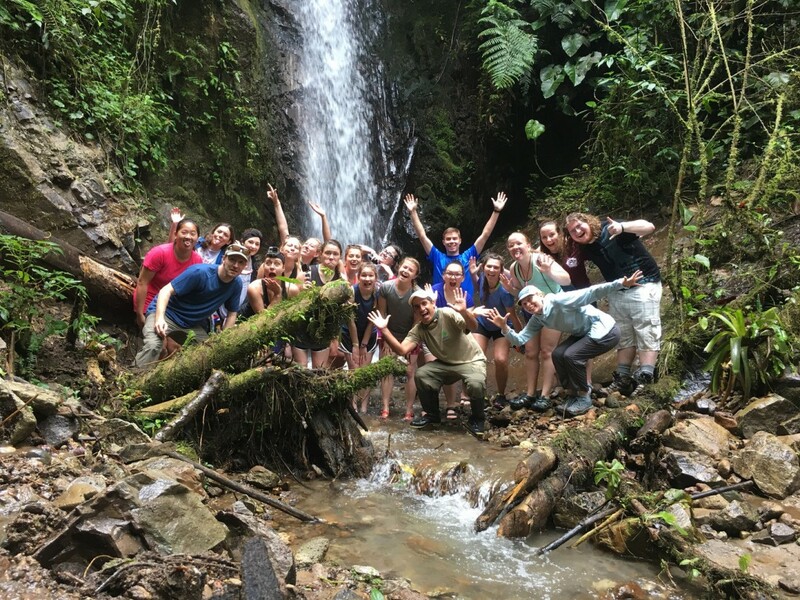 Serena George '19 studied the behavior and activity budgets of Costa Rican basilisks.